According to the RIAA, ShareBeast.com and AlbumJams.com were responsible for the illegal distribution of “a massive library” of popular albums and tracks. With a nod to the sensitivity of pre-release piracy, the sites were blamed for offering “thousands of songs” that hadn’t yet reached their official release dates. In September 2015, U.S. authorities shut them down, placing seizure notices on both domains. 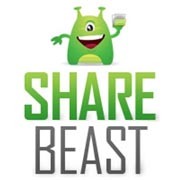 The RIAA claimed that ShareBeast was the largest illegal file-sharing site operating in the United States, noting that the site’s IP addresses at the time indicated that at least some hosting had taken place in Illinois. “Millions of users accessed songs from ShareBeast each month without one penny of compensation going to countless artists, songwriters, labels and others who created the music,” RIAA Chairman & CEO Cary Sherman commented at the time. Two years later in September 2017, then 29-year-old former ShareBeast operator Artur Sargsyan pleaded guilty to one felony count of criminal copyright infringement, admitting to the unauthorized distribution and reproduction of over one billion copies of copyrighted works. “Through Sharebeast and other related sites, this defendant profited by illegally distributing copyrighted music and albums on a massive scale,” said U. S. Attorney John Horn. The Department of Justice reported that from 2012 to 2015, Sargsyan used ShareBeast as a pirate music repository, illegally hosting music by Ariana Grande, Katy Perry, Beyonce, Kanye West, and Justin Bieber, among others. Sargsyan linked to that content from Newjams.net and Albumjams.com, and granted access to the public. If Sargsyan had responded to takedown notices more positively, it’s possible that things may have progressed in a different direction. The RIAA sent the site more than 100 copyright-infringement emails over a three-year period but to no effect. This led the music industry group to get out its calculator and inform the DoJ that the total monetary loss to its member companies was “a conservative” $6.3 billion “gut-punch” to music creators who were paid nothing by the service. Given the huge numbers involved, it’s likely that Sargsyan hoped his 2017 guilty plea would result in a more forgiving sentence. Yesterday, however, the full weight of the law came crashing down. California resident Artur Sargsyan was sentenced by U.S. District Judge Timothy C. Batten, Sr., to five years in prison, followed by three years of supervised release. The now 30-year-old was also ordered to pay $458,200 restitution and ordered to forfeit $184,768.87. “Sargsyan operated one of the most successful illegal music sharing websites on the Internet,” said U.S. Attorney Byung J. “BJay” Pak. David J. LaValley, Special Agent in Charge of FBI Atlanta, said that Sargsyan was warned several times that he was violating the law by illegally sharing copyrighted works, but chose to ignore the warnings. “His sentence sends a message that no matter how complex the operation, the FBI, its federal partners and law enforcement partners around the globe will go to every length to protect the property of hard working artists and the companies that produce their art,” LaValley said. Given the music group’s lengthy statements on the Sharebeast topic in the past, thus far the RIAA has been relatively brief. Welcoming news of the sentencing via Twitter, the major labels’ figurehead congratulated the law enforcement bodies behind the successful prosecution. “Congrats to U.S. Attorney BJay Pak + his team along with @TheJusticeDept CCIPS Division and @FBIAtlanta for their leadership on this important case,” the RIAA wrote.